I'm a huge fan of Chloe Neill. This series especially keeps me wanting more. This latest addition was filled with things I've been wanting since the first book! But it was quickly pushed away and left me wanting again. I'm eager to know what's in store for Merit and Ethan and their house in the next book. I love how each book is progressing and the action and relationships of the characters is what keeps me coming back. Chloe knows how to write an adult urban fantasy with a kickass heroine. The next book, Hard Bittenwill release next year. 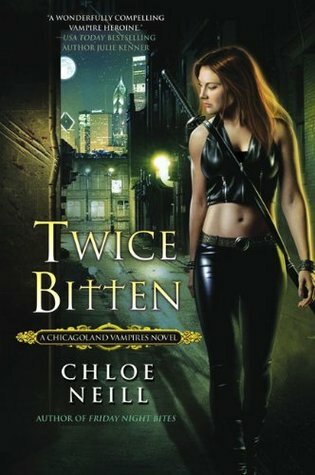 Sign into Goodreads to see if any of your friends have read Twice Bitten.